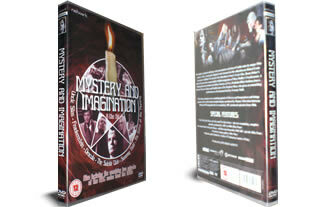 Mystery and Imagination DVD box set. The complete series on 4 dvd's. DELIVERED FREE IN THE UK when you spend over £15, or £2.99 P+P. 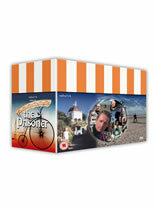 This box set contains all six of the feature-length teleplays remaining that were produced by Thames Television between 1968 and 1970 and also the two remaining episodes from 1966 which were produced by ABC. The series covers a selection of Gothic tales including Robert Louis Stevenson’s nihilistic The Suicide Club, Bram Stoker’s classic Dracula, Sheridan le Fanu’s Uncle Silas and a comedy faithful adaption of Mary Shelley’s Frankenstein. I'm pleased with the service provided by 'ClassicMovieStore'. The DVD arrived on time, was well packaged and as described. I wouldn't recommend buying Tales of Mystery and Imagination though, unless you like to enjoy yourself and be singularly spooked on the edge of your armchair with the feeling that a stuffed owl is looking over your shoulder.